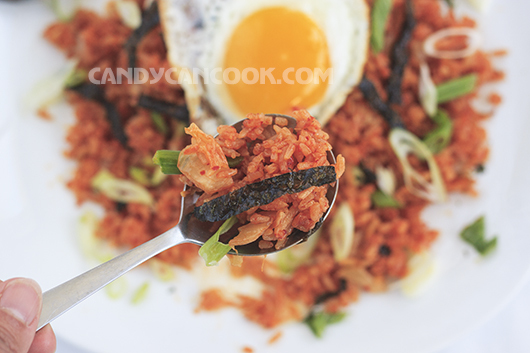 Talk about how to cook this kimchi rice is only one word is "easy" and also especially easy to adjust to the taste. 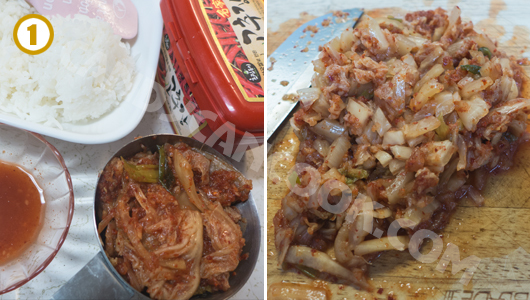 If the kimchi too sour is not too much spicy, if you want to eat more spicy chili HQ (gochujang). 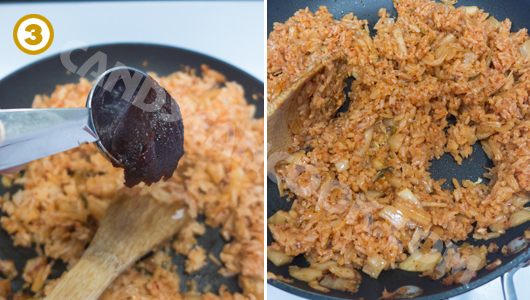 If you want a simple dish of roasted rice after 5 ', just roasted rice with kimchi. 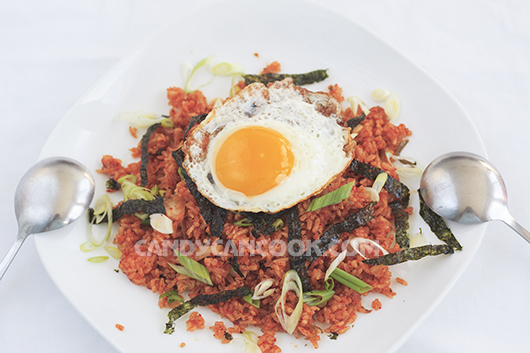 If you want to be picky, you can add some meat or vegetables (like mixed fried rice: D) or fry more eggs. Generally it is "easy" to cook delicious and impress. My husband is tired of bringing out lunch is very convenient and fast. Every time I go to the Asian market, I go home and I make 2 bottles of kimchi so I can not keep up. Half of them can be too sour or too salty so rice kimchi is very popular dish of my home. If you have a bottle of kimchi, write down the recipe. 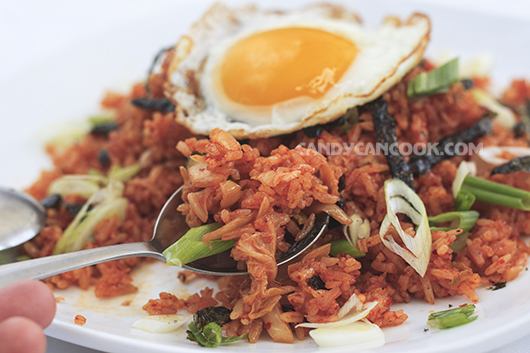 Kimchi fried rice is very fast. So first prepare all the ingredients. Little kimchi. Salt water kimchi mixed with sugar to relieve sour taste. 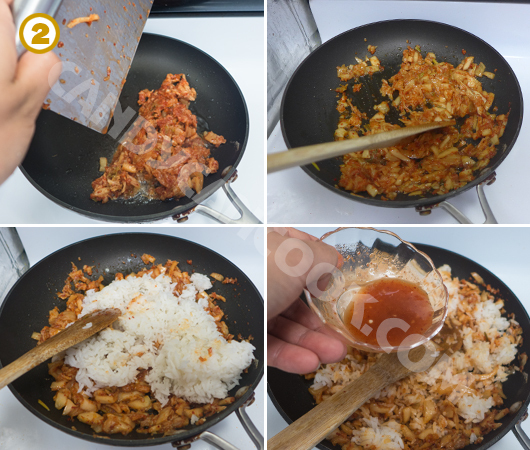 Heat the pan on the heat for 1 teaspoon of oil and sesame oil and let the kimchi stir fry about 1-2 minutes for ripe and soft kimchi. Then, add the rice to the island. Next to the kimchi salt water. Should be given less because it depends on the hardness of the rice. If too many fried rice is crushed.